Sell your products right from your home or anywhere with our readymade eCommerce websites & reach out to crores of customers. Fully responsive themes with ‘fit-all-screen’ compatibility allowing consumers to buy from your store using mobile phones or tablets. Search engine optimized product pages including meta tags, titles and URL handles to help potential customers find your store easily. From PayPal to Billdesk, we support 21+ Indian payment gateway integrations for effortless transactions of your eCommerce store. 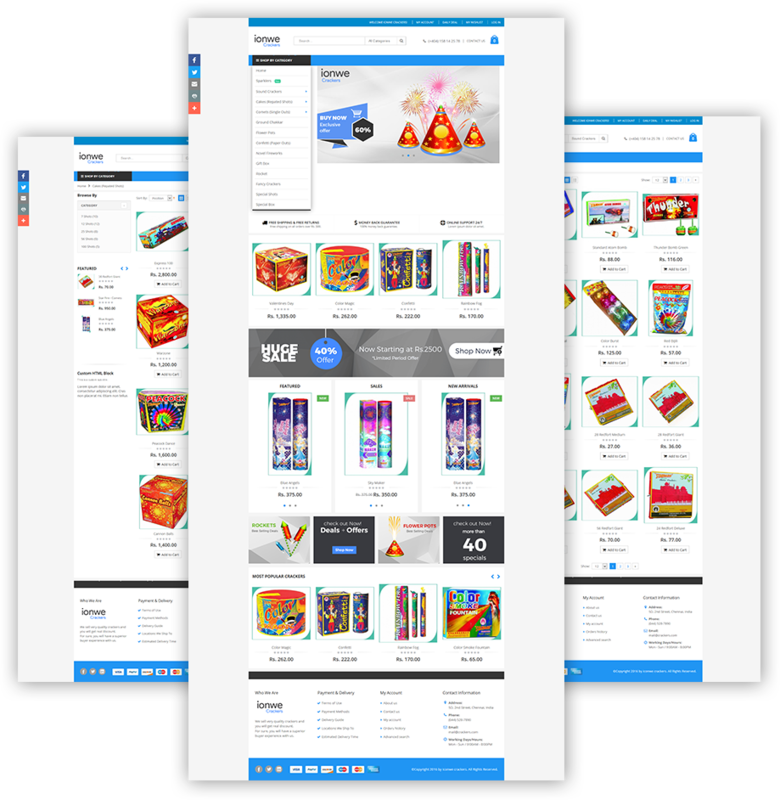 User-friendly highly customizable Mega Menu with dropdown variations to help your shoppers find products quickly and easily. Add unlimited categories, sub-categories or product attributes seamlessly to sell multiple products of any range or quantity. Increase conversions with better shopping experience by filtering products based on categories, price range and net weight. Leveraging the power of social feature to share customer’s shopping cart via social media or bookmark products for later purchase. Integration with high-end Google Analytics to track sales and gain insights through in-depth reporting feature to improve revenue. Gives the ability to view, up-sell or cross-promote recently viewed products by the customers between their browsing sessions. Discover the power of emails by enabling newsletter subscription feature and connect to subscribers through email marketing. The highlight, promote or list new products or special offers on to your store & seek customer’s attention with the use of product labels. 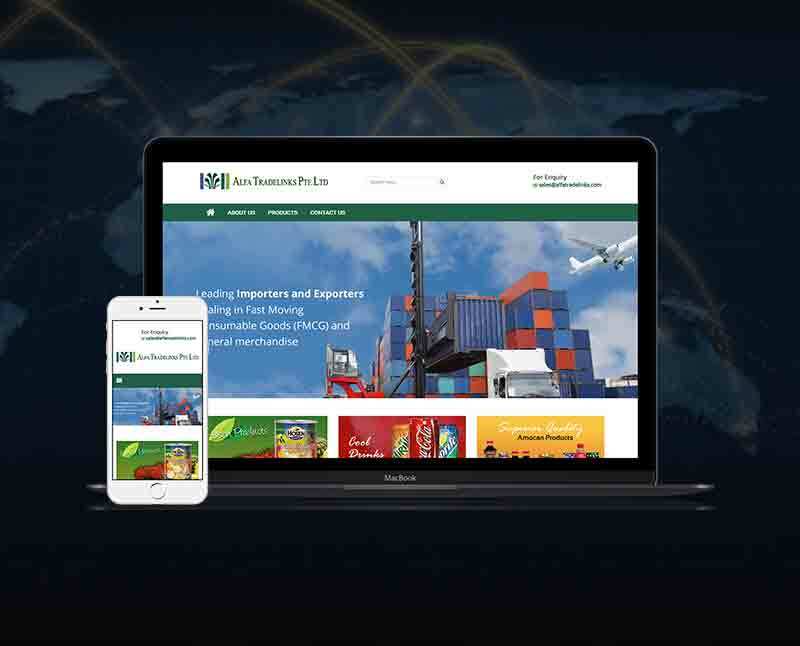 We have designed a custom eCommerce website using Magento platform for this trading company based in Singapore. The website has been development with a motive to increase its overall conversions using comprehensive functionalities with custom-made features for a strong online presence. 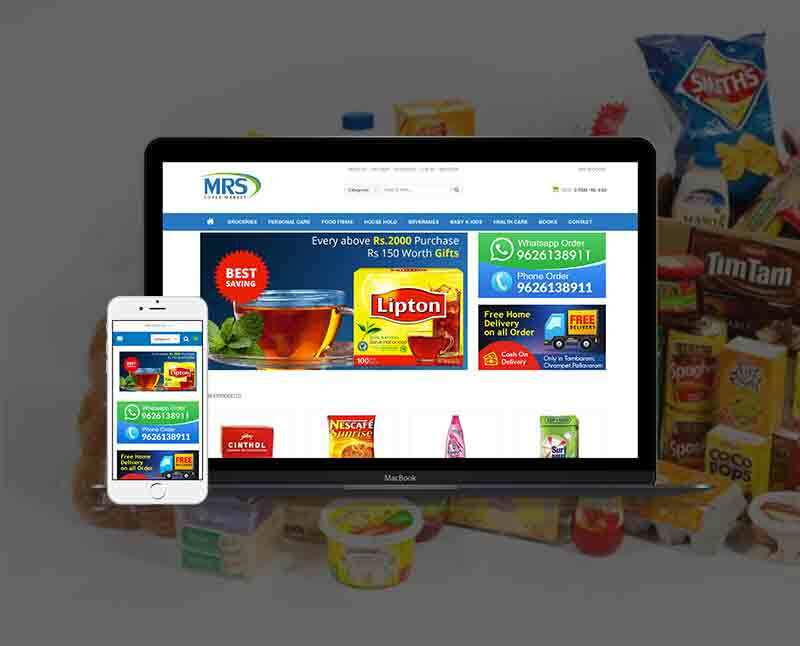 It is a grocery and household online store for which we have built an online supermarket website with Magento customization & multi-store capabilities to offer user-friendly interface using custom designs created based on client’s unique requirement. 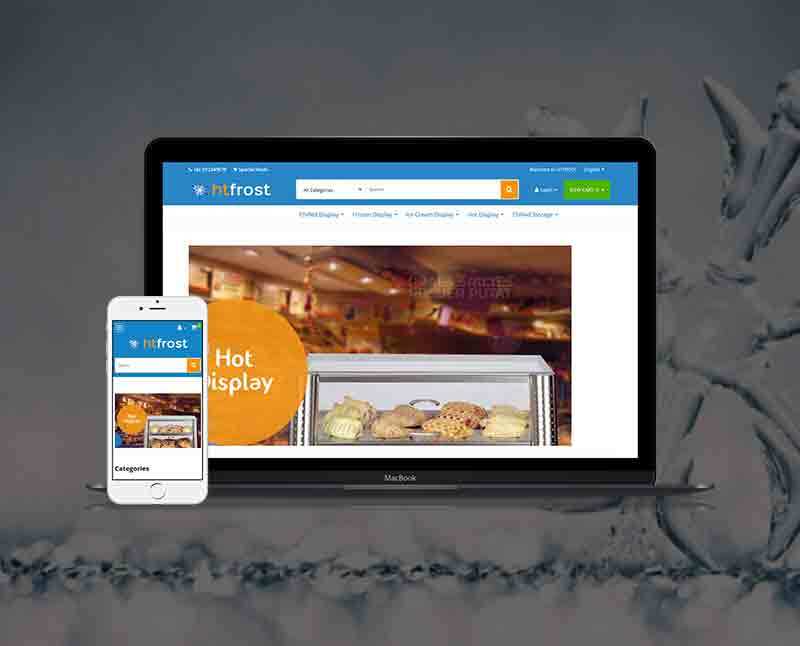 htfrost is another ecommerce web development project which deals about selling display freezer equipments and ice machines online. We have added custom-built addons and client specific functionalities in the back-end and a smooth UX features in the front-end to help them boost revenue to sell globally. 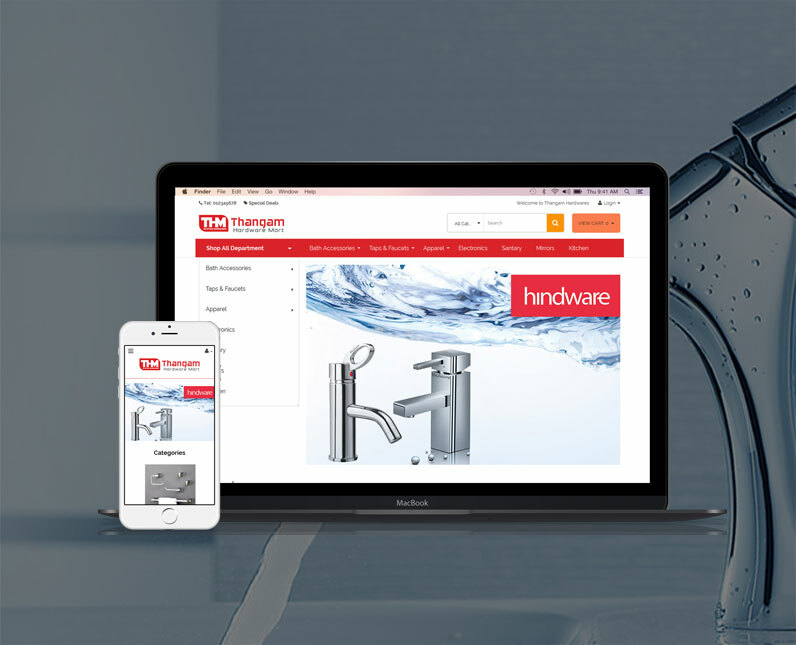 A bath accessories and hardware store based on the robust eCommerce platform, Magento with minimal layout and simple colors. The project also has comprehensive functionality like effective online admin panel, database driven catalogue, order tracking, payment processing, etc. 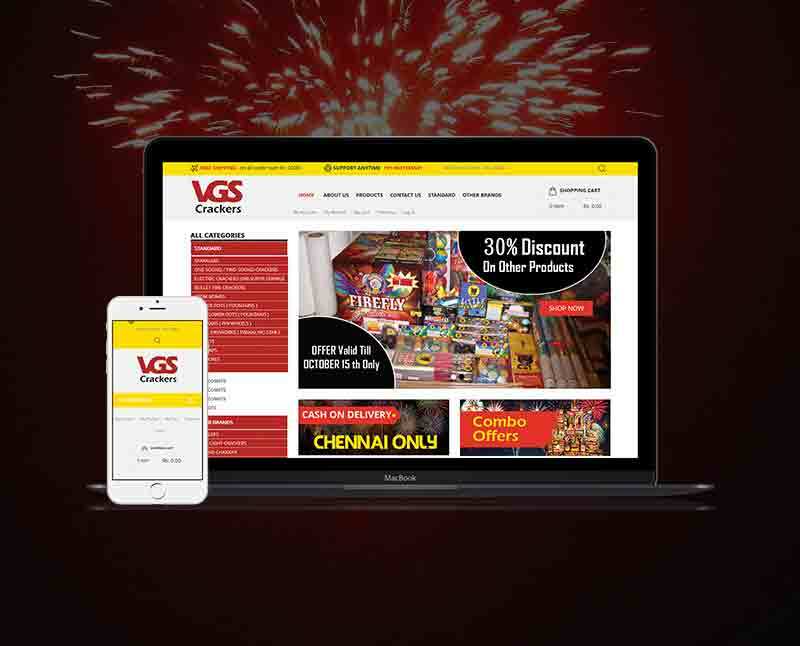 A crackers online shopping cart website built with less cluttered design in the front-end which is easy to navigate. 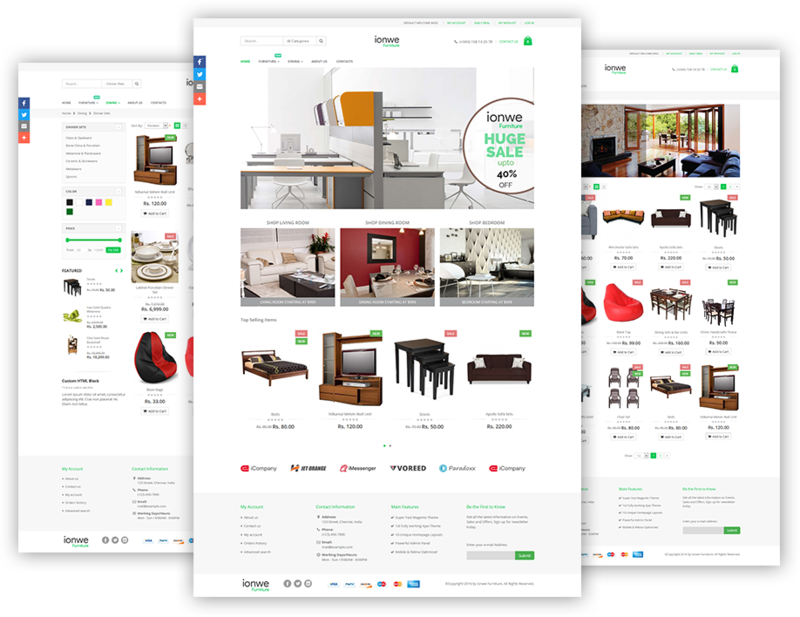 The system is built in Magento platform with easy to shop functionality and coupon codes for high selling capability through secure interface. Creating eCommerce experience to drive conversions! 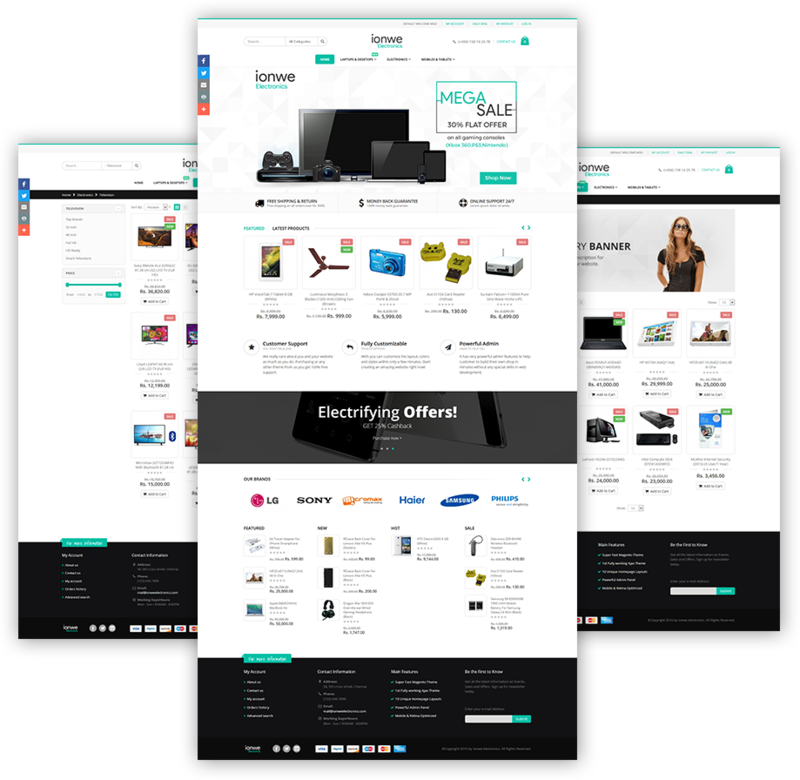 EWDC’s eCommerce website development solution gives you the opportunity to reach a potentially unlimited customer base and facilitate your online transactions easily abreast of the latest industry trends! Right from the product discovery to checkout, our eCommerce developers build websites that are engineered to enhance the user’s journey, making it a hassle free shopping experience! With our proven expertise and quality driven delivery, we offer end-to-end eCommerce website development model which is much effective for B2B and B2C solutions. As an emerging ecommerce website development company, our extensive data-driven approach and digital expertise allows us to reinforce your store sales and marketing with ultimate ecommerce development strategies. We take utmost care about your eBusiness and employ latest technologies to develop a full-featured eShop with all the features you need to run a successful online selling business. 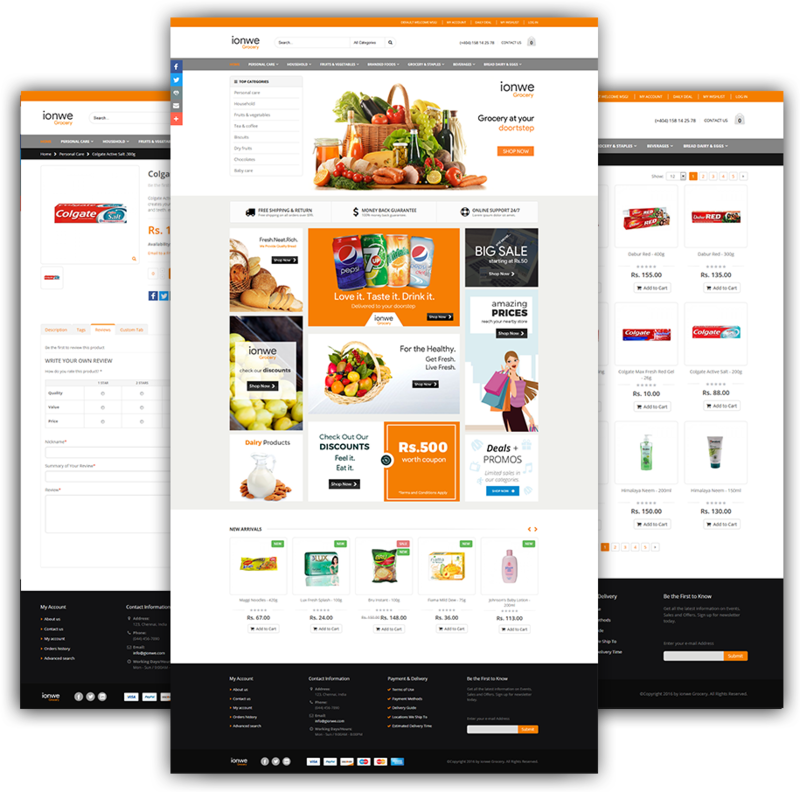 Our ecommerce solutions are available for products of all categories ranging from grocery to electronics with 100+ features to drive potential customers. So, if you want to sell online, just pick the best product to launch your online store and leave the rest to us!! 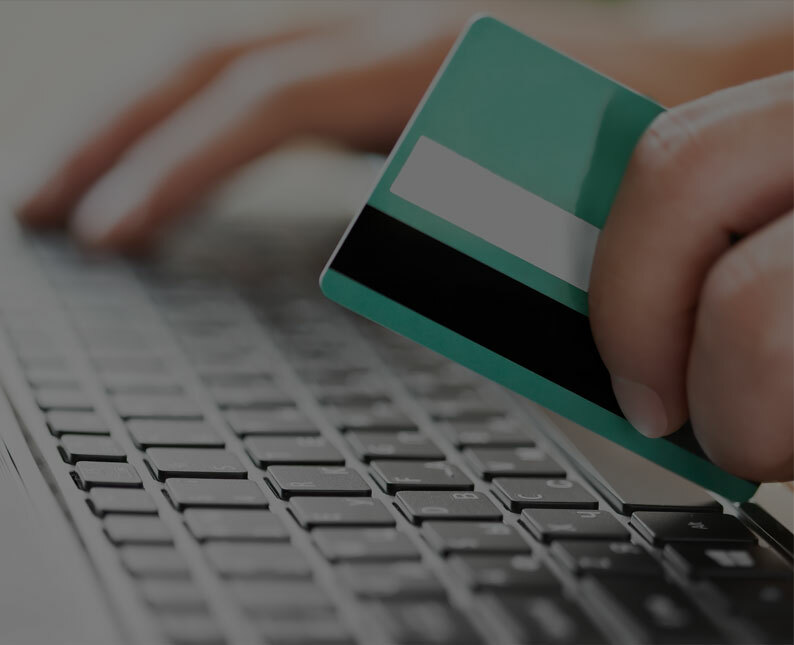 We evaluate your ecommerce store’s objectives and offer 100% customized solutions tailored to your unique requirements. Full-fledged ecommerce solutions with 100+ elegant features to run a smooth and hassle-free online shopping store! 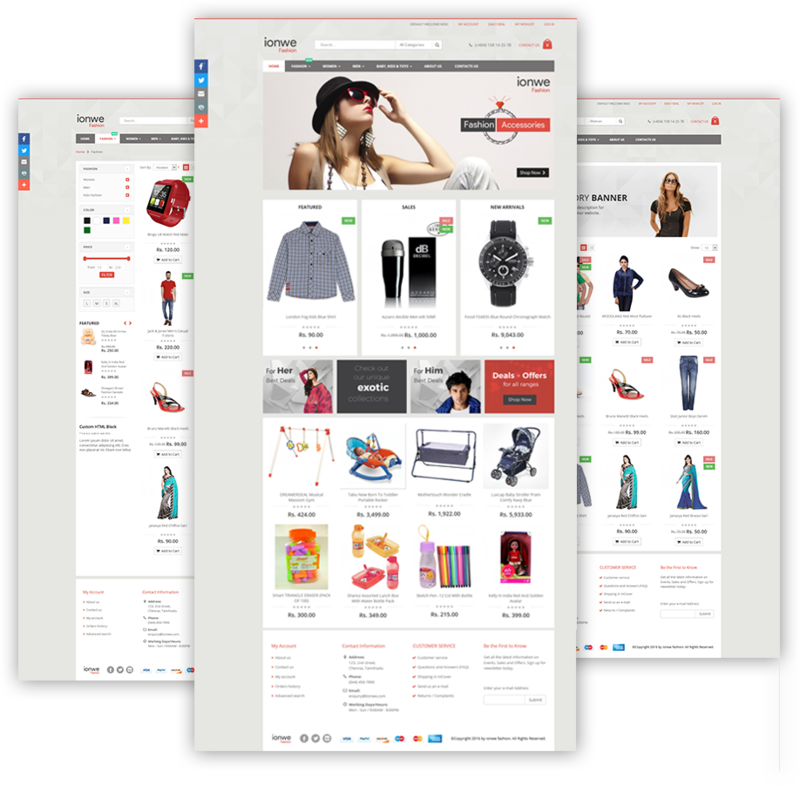 Your store will offer a seamless shopping experience to your visitors as the website is developed with clear code optimization.